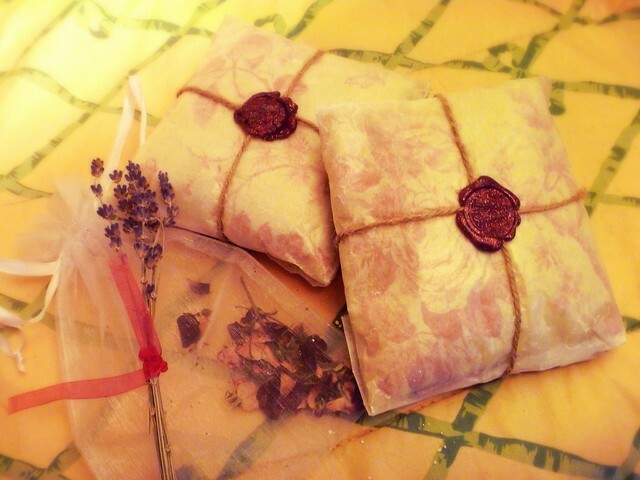 Making these little pillows are same as this previous tutorial over here for soothing eye pillows. Only instead of flax seeds we'll be stuffing these with a little cotton and a an herbal blend. Back in the day huge pillows such as these were created and filled with rose petals to be placed under rugs so that rosy scent was released with each step. Or popped on couches so that anyone leaning back on one would get a lovely whiff of soothing lavender. One of these days I'd love to try that but for now these little pillows measuring about 5 x 5 inches are great for tucking inside bed pillows and drawers. To add some extra oomph sometimes I'll cut up a block of French soap and add the chunks inside or grind up some Japanese incense and pour that in. A few drops of essential oil works too. 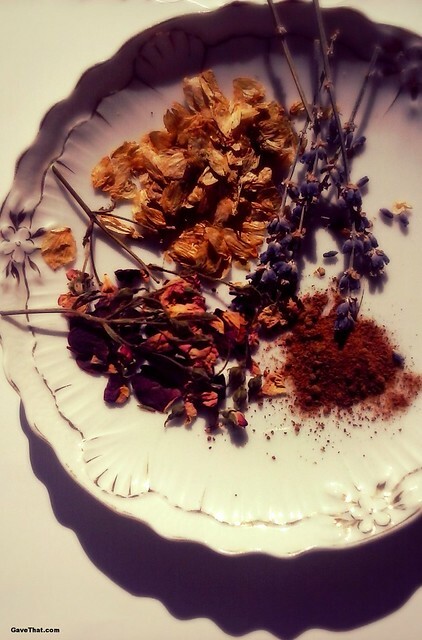 For a blend that calms and soothes try mixing together and stuffing your pillows with: 1/2 cup rose petals 1/4 cup hops 1 Tablespoon nutmeg 1/4 cup lavender buds A sprinkle of marjoram To wrap them up and give them as gifts, wrapping them in wax paper will help them retain their scent. 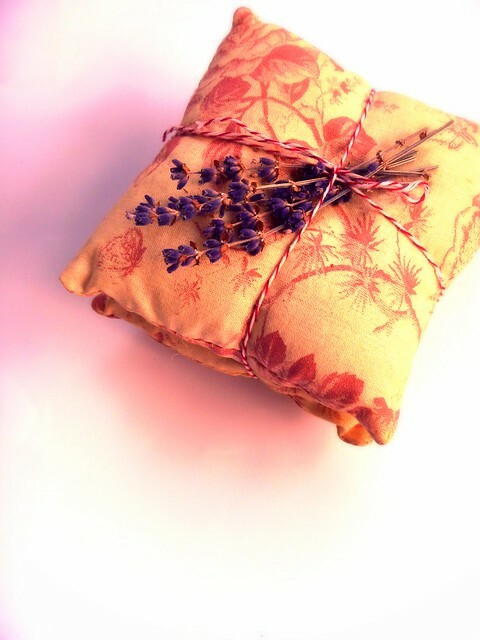 Add a few sprigs of lavender on top and fasten with twine and wax seals (for more on making the wax seals above see this tutorial over here). Sweet dreams!